This book situates the history of Trinity College Dublin within the great upheavals and changes that were taking place in Ireland and the wider world in the transformative period between 1912 and 1923. The period saw Trinity and its environs profoundly changed. 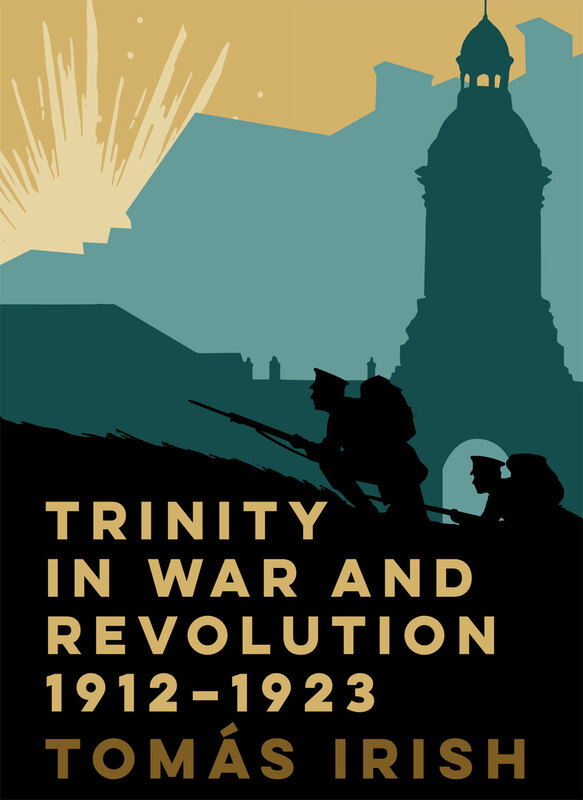 The book uses Trinity as a way of exploring some of the central themes and tensions of these years, themes that are usually examined separately: Irish involvement in the First World War; the Easter Rising of 1916; the violent struggle for Irish independence; the end of the Civil War; and the establishment of the Irish Free State in 1922. It views these events through the prism of the university’s development, arguing that these contexts cannot be divorced from one another. Trinity was at the centre— physically, intellectually, symbolically—of these seismic events in local, national and international history, and each had a great impact upon the institution and its development in the twentieth century. This book is also available on JSTOR. For more information, institutions can visit Books at JSTOR or contact participation@jstor.org. 'Tomás Irish has given a very nuanced account of how this complex and multifaceted institution, Trinity College Dublin, reacted to and dealt with the tremendous social and political change that swept over Ireland in the early twentieth century. This beautifully illustrated and produced book is a welcome history of this pivotal period in the life of the College, but it is also a useful social history of Ireland in these years as well'. Francis M. Carroll, University of Manitoba, Irish Literary Supplement. 'it is an informative work, has a clean prose style and there can be no gainsaying its author’s scholarly marshalling of sources'. David Limond, Trinity College Dublin, History of Education. 'Tomás Irish's lavish Trinity in war and revolution [...] is especially notable, as TCD could be said to represent a very different Ireland outside the nationalist tradition [...]. This well written and well researched study sheds valuable light on the experience of traditions in Irish life that had little or no sympathy for the Rising, or for the revolution that ultimately came in its wake'. John Gibney, History Ireland. Tomás Irish is lecturer in Modern History in the Department of History and Classics at Swansea University. He graduated from Trinity College Dublin with a Gold Medal in 2006, completed his PhD there in 2012, and was a postdoctoral research fellow at Trinity's Centre for War Studies from 2012 to 2015. He is the author of The university at war 1914-25: Britain, France and the United States (2015; Palgrave Macmillan).